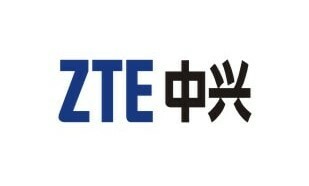 Cohn & Wolfe Group has been appointed as the global lead PR agency for ZTE Corporation, effective from October 1st, 2016. The brief includes handling ZTE’s global strategy and corporate, b2b and b2c media and analyst relations, with campaigns in Asia and Europe. Cohn & Wolfe Group will be ZTE’s global lead agency and also agency of record in Asia and Europe, with the global business being led from Cohn & Wolfe Hong Kong. In Europe, Cohn & Wolfe Group is retaining and expanding the scope of the business through its AxiCom brand and has been ZTE’s agency of record in the region since 2005. Marketing has been informed that ZTE’s mobile devices division, which includes handsets, continues to engage WE Communications as its global partner with emphasis on Asia-Pacific and EMEA. The company promoted current head of operations Shn Juay to chief operating officer at Paktor Group. .. This is in a bid to help mid-tier companies and large corporations achieve an increase in productivity, reduce foreign labour depe..